I am here today with you, listening to the water lap up on the shore of the Bay of Quinte. My heart is so heavy, it is tired. I can’t stop wishing from every fibre of my being things were different. Missing you are words that are pale and seem to fall very short of how I feel. We have lived 224 days without you. Life around me seems normal, the world is still turning, people still have love in their hearts, people still act out of hate, and the everyday routine seems to not have skipped a beat. Anyone looking from the outside would probably think it looks like our life too is back to normal and all is well. You could be our boys living in our home and think the exact same thing. Yet it is all a farce. We are tired, emotionally and physically. Walking around living everyday life carrying the weight of the loss of you is heavy and hard work. Behind every smile, laughter, trip to the grocery store, books read to your brothers, and the other 101 items on a list of simple tasks we all perform each day is your Mom who is doing this all with a 100lbs of grief on her back, and at times a paralyzing force around her that she has no choice but break through and put on a brave face, take on real life and do all that needs to be done. Your Dad and I are exhausted. After a full day with your brothers, a full day at work for your Dad, then dinner, bath, books and bed we have very little time or energy to feel you. Like to really feel it, to talk about you, to move forward and to unload some of the weight. We need a break, a break together. Time to focus on each other, to be at home, or not rush home, to cry together, to laugh together, to not cry, to sleep a full night, to fill our tanks without taking care of real life. Today until tomorrow morning we get a break, your brothers are happy as can be spending the night with your Poppa and Markin Williams. So here I sit, with you feeling all I have pushed aside because I had no time or because I was simply too tired to go there at times. When you passed there was a sense of urgency to help us and we are forever grateful for every act of love but needing help isn’t over. This wasn’t a sprint, and it isn’t a marathon but this is our forever. We aren’t just normal parents walking like zombies from the grind of having a 2 & 3 year old we are those zombies with an added load that holds a weight that is often too heavy to carry and we need rest. I pray that all of your friends in heaven have parents that are being loved and helped years after they were separated. Those who haven’t suffered a loss of a child will never understand that it isn’t just a emotional exhaustion but a physical one. Having time to refill physically allows time for the heart to also refill with peace. We all have tanks that hold love, peace, and physical energy. These tanks need to be refilled otherwise just like a car you will stall. Theo, my sweetest little man I am sitting on top of where you were laid to rest, writing to you,and having the closest to a “Mommy Theo day” we will ever have. My heart weeps for you but I am so grateful to have this time with you nonetheless. Your Grandparents just gave us a really great gift. The sun is shining, the wind is blowing a beautiful gentle breeze and the water sounds calming. Together we share this, as you are all three of those things. I feel you blow through, I feel your love shining down with the warmth of the sun and the sweet sound of the lapping water is as gentle as your love for me and all those who we share space with. I miss you in immeasurable ways. Today, tomorrow and always. You are my son of all sons, the one I hold in my heart and to never be held in my arms again. I miss you in unimaginable ways. I wish life sometimes would slow down and allow for you and I to spend more time together. I wonder how busy I would have been with you here in my physical world? I have guilt knowing no matter how busy I would have been I would have had to make time for you, yet because you aren’t I don’t feel okay to say no to other stuff so I can say yes to you. I say yes to you in my heart all day everyday yet having to tell others I need space and time feels hard. I am sorry and I will try to be better at it. There has been so much that has happened since I wrote you last. Your Dad and I went on the radio to tell your story. You have given us a gift of helping others feel not so alone in their grief. You are my favourite topic so talking about you makes my heart sing. You then made the paper! Can you imagine Theo! Your story was told on the radio and then in the local paper all in the same week. I am so proud of you. We went to PEI to visit your Great Grandmother Pearl or as your brothers lovingly call her GG. We checked into the hotel entered our room and there was an elephant made from a towel waiting to great us. It made me smile, I know you played a roll in that. The boys played with their cousins, we all spent quality time with your Markin, Great Aunt and GG. It was so nice to be there with that side of the family. I feel as though you would have been a perfect Tomilson so full of love and generosity. I spent a lot of time thinking about you while we were there. I wondered how you were getting along with William your Great Grandfather as he passed away years ago and is eagerly waiting for Pearl the love of his life. I never had the pleasure of meeting him but I envision him to be an older version of you; offered so much love, loved by many and so fondly remembered. You had a beautiful cousin Gabrielle Elizabeth born only two weeks ago. We haven’t met her but have seen pictures and are eagerly waiting to cuddle her at Thanksgiving when the Hewats get together. I cannot help but think how amazing it would have been to have both babies there together. We are now at Papineau Lake, your most favourite place. I see you missing from everywhere I look. I feel from the depths of my soul I could weep more tears than the lake has water. Since we have been here my whole body screams and my tears cry “I want my baby back”. I feel this often but here it is overwhelming; to be in your favourite spot, a place where our family gathers to enjoy quality time together and you not be here with us makes my heart ache in a profound way. I see so many signs you are here with us. When we first arrived I noticed your rock I painted at the retreat sitting on a rock. I asked your Dad why he put it there and he said “I didn’t, I thought you did. Well we better leave it there, he obviously wants it to be there.”. I agreed 100% and it makes me smile as we have no idea how the rock even got to Papineau let alone placed in that particular place. I have found 3 dimes, which is totally bizarre considering where we are but again make me smile. At least twice a day if not more when I look at the clock it will be 1:11, or 4:44 or similar to that. Then yesterday I was doing dishes and with such a heavy heart I was thinking about how incredibly unfair this is, we are in a very large trailer that we bought for you making us a family of five and needing more space and you just aren’t here. As that thought left my mind the lights start to flicker. A few moments later I say “thank you, you are right I know you are here” and the lights return to normal. You see Theo, I will never stop wishing life was different, that you were here with us . Your absence hurts in ways I can’t describe. I know you would have loved the beach with the boys, floating around in the water and being loved by all the family. 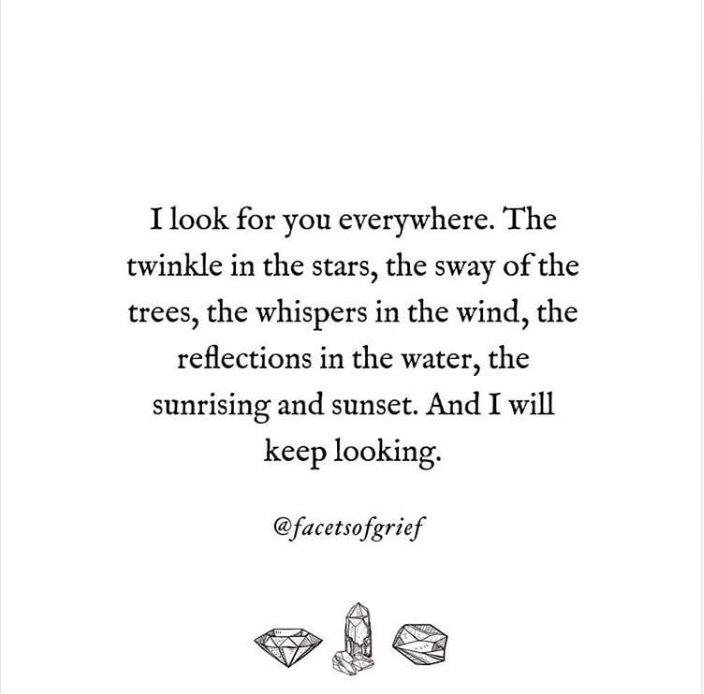 I see you missing in so many ways and then in so many other ways I see that you are right here with us. Thank you for showing me how truly close you are, especially in the times my heart hurts the most. The link to the radio show is below. Scroll to the last hour and that is where we start. The link to the article in the paper is below.